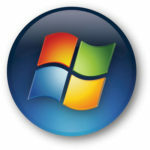 The entire business world has been made aware that Microsoft is ending support for its popular operating system Windows XP on April 8.The problem that arises on this date is that 29% of the world’s computers are still running Windows XP. It seems that the world has been slow to act upon Microsoft’s expiration date. The demise of XP is putting a large chunk of the world’s data at risk. 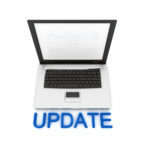 This is because a software manufacturer like Microsoft is responsible for providing users with security updates that help keep their systems protected from the web’s worst and latest threats. Without Microsoft providing users with this crucial piece of their network security, hackers will have unprecedented access to the world’s information. Windows XP was released 12 years ago when the Internet was a much different place. 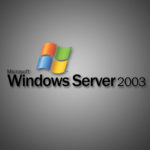 Consequently, Windows XP isn’t built to handle the latest security challenges presented by the Internet. With 29% of the world’s computers still running XP there are an enormous amount of PCs left to upgrade in a short period of time. It’s difficult to calculate the dollar amount involved to upgrade the world’s XP machines. We can look at Japan as an example of the cost to upgrade just one country. After assessing their computers, the Japanese government decided that they weren’t going to upgrade 200,000 of its XP machines. The price tag to upgrade that many machines was estimated to cost $2.4 billion. Using this figure as an example, the projected expense to upgrade 29% of the world’s PCs might be more than most country’s GDP. Like Japan, some users may choose to not upgrade from Windows XP because they perceive it to be a major expense. 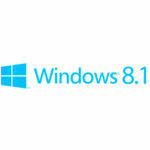 Quikteks can work within your budget to come up with an affordable solution to properly update you operating systems. We think the cost to upgrade is worth the expense to insure that your company’s sensitive information is secure. Upgrading to the latest software also helps your company realize new solutions that will give it an advantage over the competition. Other users may be hesitant to upgrade because XP has worked so well for them over the years. 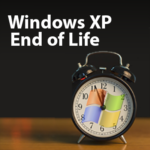 As XP gets older, it will become less reliable, this will become evident after Microsoft pulls the support plug. Quikteks can help you to become better acquainted with your new OS like Windows 7 or 8.1 and show you what a powerful work tool the new platforms have become. It won’t be long before you wonder why you ever stayed with XP as long as you did. Don’t let April 8th catch your XP systems off guard. It’s is time to give us a call at 973-882-4644 and get your XP computers, and any other older technologies in your office, up to date. To take advantage of the latest solutions for your business, give Quikteks a call today!